It kicked off the "whole crazy spell," he said. LEDUC, Alta. — The people charged in a bizarre naked kidnapping that ended in a car crash may have unknowingly drank some hallucinogenic tea over breakfast, says a relative. RCMP have released few details about what happened Monday just before 10 a.m. in the community of Nisku, just south of Edmonton. Three adults have been charged with kidnapping and resisting arrest. The matter was in court for the first time Thursday. No one was hurt, but the case has made headlines around the world. The relative said he wants everyone to know the accused are not bad people. They just had some trippy tea. "It's absolutely crazy," said the man, who cannot be named due to a court publication ban protecting the identity of youths involved in the case. He told The Canadian Press that his two daughters, who are 13 and 15, and his ex-wife were having breakfast with two friends — a man and his wife. The man had recently travelled overseas and brought back some tea from India. The relative did not know the name of the tea. That kicked off the "whole crazy spell," he said. 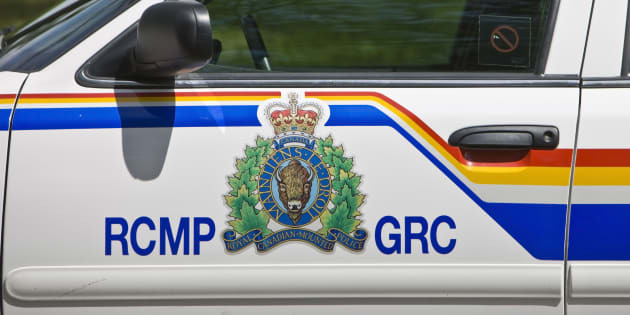 Mounties have said a man, woman and baby were forced against their will from a home in Leduc County into a BMW. Inside the car were five naked people. While the car was being driven, the abducted man, who was in the trunk, managed to escape. The woman and her baby then managed to get away. The trio were picked up by a passerby, but his work truck was rammed from behind by the car. When officers arrived, they pulled out the five naked people. The adults, who are 27, 30 and 35, were arrested, but the teens were not charged. The relative said he laughed about the case when he heard it on the news, then was shocked to learn that his straitlaced daughters were involved. "I was just like what the heck?" He visited his youngest girl in hospital, who had been taken with some of the other suspects for treatment. They don't remember what happened, the man said. "Whatever potency that stuff had obviously is making it so it's just a big blur," he said, adding blood tests were also taken at the hospital. "Nothing came back like illicit drugs, so they figure it may have been some type of herbal drug or something." He said the three people who were forced from their homes — a man, his daughter and her six-week-old baby — are also family friends and aren't holding any grudges. They probably opened their door that morning trying to help, he suggested. He also believes the car rammed the truck because the tea made those inside think the family had been abducted by the truck driver — not the other way around. "They were under the impression that they were saving that guy and the woman and the little girl."